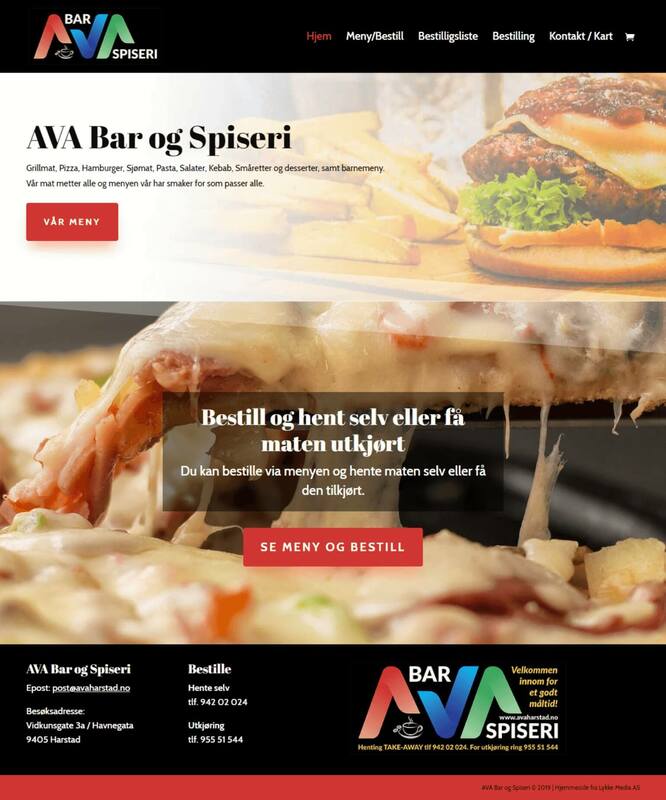 AVA Bar og Spiseri is a takeaway restaurant based in the northern Norwegian town of Harstad. They offer a range of takeaway food and drink from pizza to salads, and hot chocolate to smoothies. Everything can be ordered online via the website designed by Lykke Media. 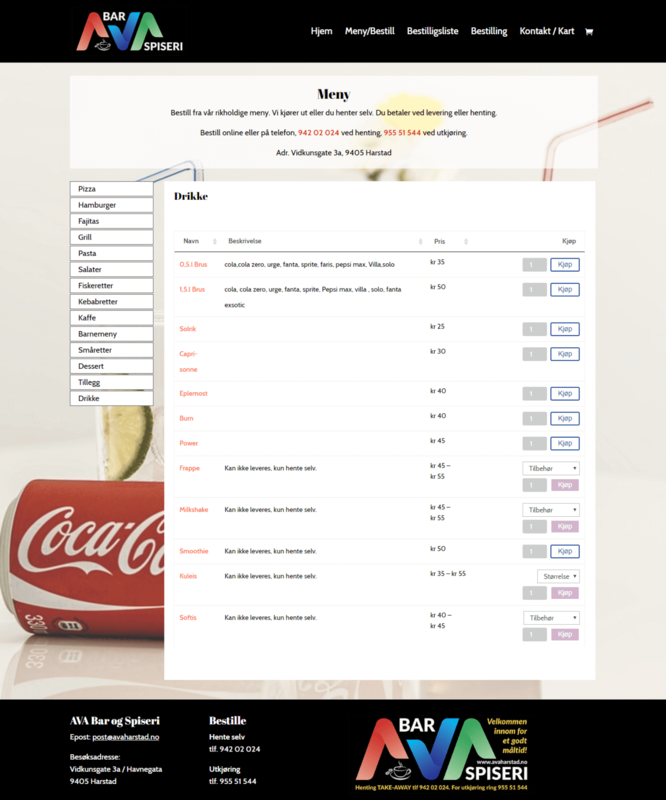 To keep the order process simple, they decided to power their online food order form with our WooCommerce Product Table plugin. It’s a straightforward online food order form, simple for customers to use. As there’s a long list of food available to order, the menu has been split into different groups of food. There’s a tab for each separate menu. So first, customers just need to find the menu they’re looking for from the list of menus. From there, they select the size from the dropdown, input the quantity they want to order and add it to the cart. Before paying, it’s just a matter of deciding whether to collect the order or get it delivered. 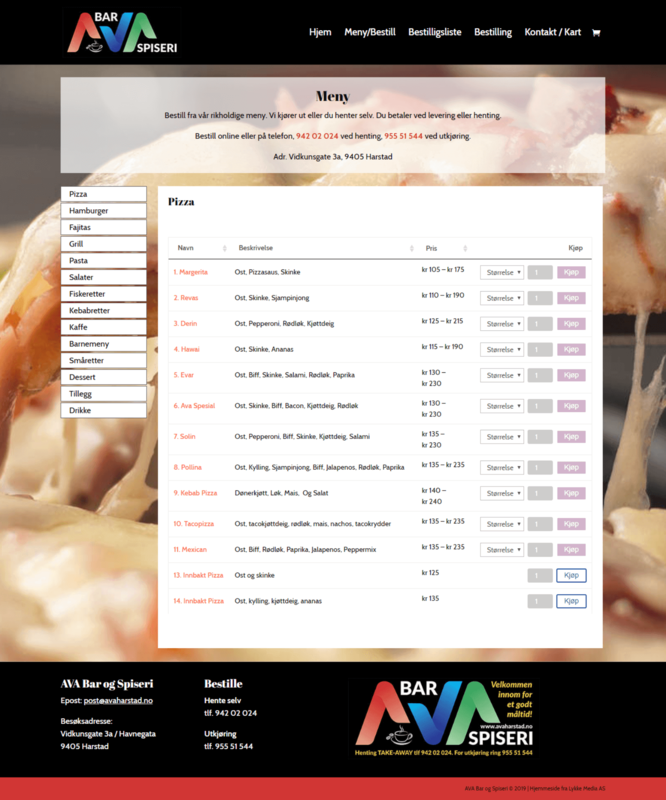 Why not check out the takeaway order form in action? Use WooCommerce Product Table to create a quick and simple ordering system.